Registrations are on for the California Mass Timber Building Competition. The California Mass Timber Building Competition is now accepting submissions. 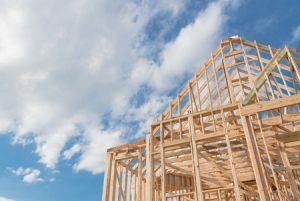 There is $500,000 in grants to be distributed between two or more project teams presenting viable and repeatable mass timber solutions for commercial or multifamily projects in California. The competition will be hosted by the California Government Operations Agency (GovOps) and administered by WoodWorks. The grants will fund activities including cost studies, permitting fees, and information exchange sessions with code officials. Eligible mass timber materials include cross-laminated timber (CLT), nail-laminated timber (NLT), glued-laminated (glulam) timber, dowel-laminated timber (DLT), mass plywood panels (MPP), and other mass timber products as approved. Mixed material (hybrid) solutions including mass timber components along with other structural materials are also eligible. The deadline for submissions is March 18. Winners will be announced in late May.